No 3 star drop? rip I bought 500 keys and got pretty much the same drop as you got no 3 star drop either. Yeah, the trove knows for sure, I want lots and lots of Celestial wings but i did not get that many, I got more in the previous trove.. and that one had several good weapon skins & outfits.. this trove just feels overall lackluster, Since i don't really like any of the outfits from this current trove. As we've said before, and will continue to say it again--trove is strictly RNG. Some will never see a 3-star crit. I haven't seen one in my life until now. I opened 700 keys and got two 3 star crits. Next 100 keys I got another and a 10-oil crit. This trove has treated me the best so far actually. ^_^. 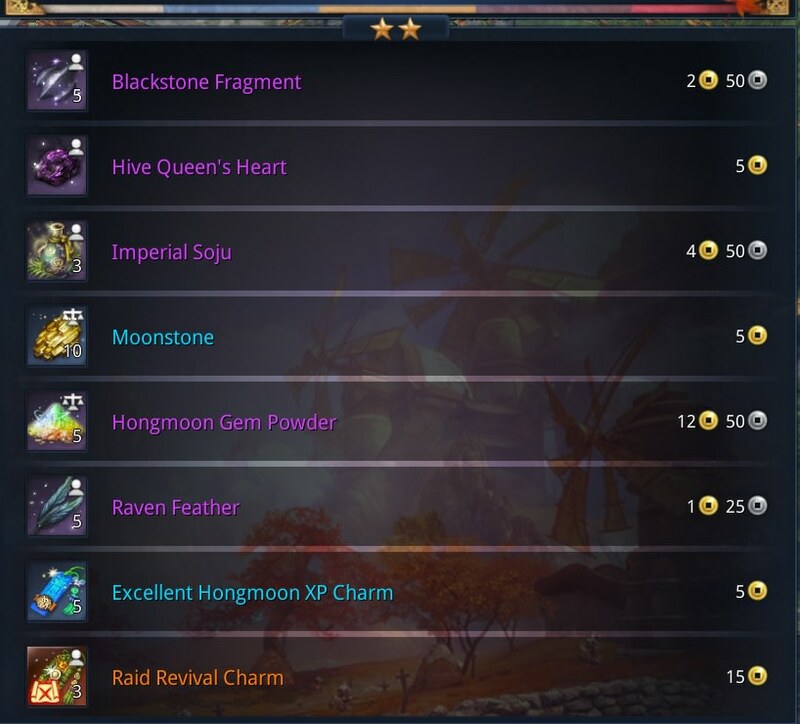 Trove rng will continue to get worst as they realize more and more that they can get away with not satisfying the community and still profit from it. even the 2 stars full of craps. I heard some player spent thousands of keys but only few times 3 star crits. 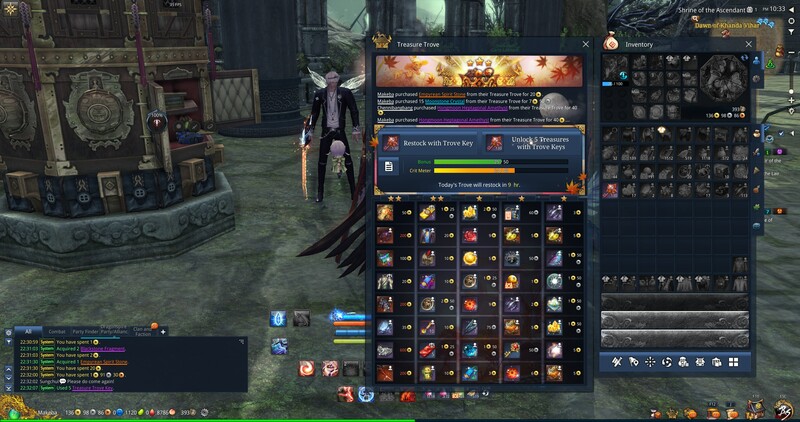 last trove i opened 200 keys i get like 4-5 times 3 stars rewards. 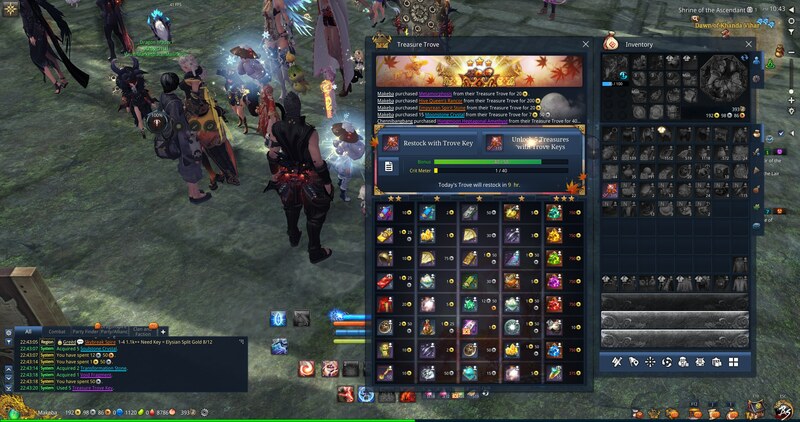 My guess is they lowered the rates of good crits after adding the "guaranteed bonus after X amount of keys" because of ncsoft "balancing logic". They never just add something without it coming at a cost in some way or another (usually the end result being worse). Yeah, It's weird how the 2 Star can mean so many different things.. some things that are marked as 2 star could very well be 1 star value tbh..
just asked my mother for an extra 10 bucks. Sometimes i wonder if people miss the whole "Mature 17+" rating that this game has. Kids really really really shoulden't be playing this game.. Because of all the "Please give us money" elements that the game has..
Nice vacations for the cash grabbers with all these trovers.. Sad to see there are still kids who waste money on trove. Why automatically assume that's a kid? Believe it or not there are still many adults playing games that live with and rely on their parents lol. Or maybe they borrowed some money, who knows. Why would you ever trove if you only have 200g? It took me atleast 2000g to go through my keys. I have 8 alts I run through almost everyday and while most of my characters have sub 300 gold on them, I do have lots of materials/items I can sell to make money fast if need be. You notice my gunner had 8 empyrean stones on her. Guess you know how I financed that gilded Amethyst purchase :p (She can also craft them, so I can always make more when I need them) I don't think I've ever had straight 2k gold on me at once.